Located in a quiet no exit coastal street, 10 Westmere Park offers extraordinary function at unbeatable value. A spacious 1970s gem extension offers two large bedrooms upstairs (both with water views), bathroom and a study nook - perfect for the kids or master suite. Separate space is king here and the large 25m2 room at the back of the home has level 'genuine ranch slider' access to the lawn and has been used as a multitude of things over the vendors 25 year tenure; giant rumpus room, work from home space and home base for the kids sleepovers. 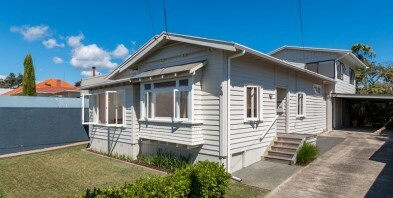 Beautifully presented by our vendors whose big kids have all now left home, it's time now for a new Westmere family to enjoy the size and separate space - and even add huge value when the time is right. Walk to the village, Cox's Bay Park, Westmere Primary, Western Springs College and the kindy. With the Harbour and Meola Walkway just 200m from home at the end of the street, you will be stunned at the how special this little enclave really is.